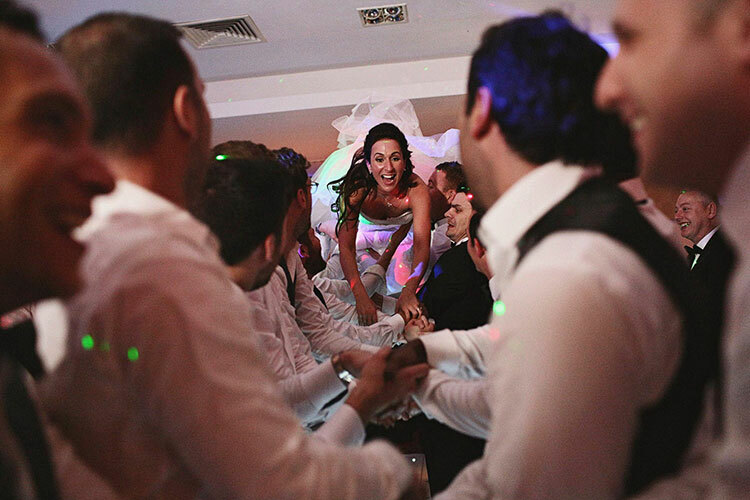 A weekly series where I ask some of the world’s best wedding photographers to pick out their favourite shot from their Jewish wedding portfolio. This week it’s the turn of Shlomi Amiga. A weekly series where I ask some of the world’s best wedding photographers to pick out their favourite shot from their Jewish wedding portfolio. This week it’s the turn of Chris Giles from Chris Giles Photography. It’s difficult to pick my favourite photo, but here it is. Imperfect in places, but an image I love because Shoshana is completely lost in a moment where unusually all eyes were not on them. In fact, these sorts of shots win out most of the time. A weekly series where I ask some of the world’s best wedding photographers to pick out their favourite shot from their Jewish wedding portfolio. This week it’s the turn of Mark Alesky. Here’s an image that always makes me smile, I thought I’d give the men a chance of the spotlight. The wedding of Tina and Nir came my way as Nir is the brother of a good friend of mine. 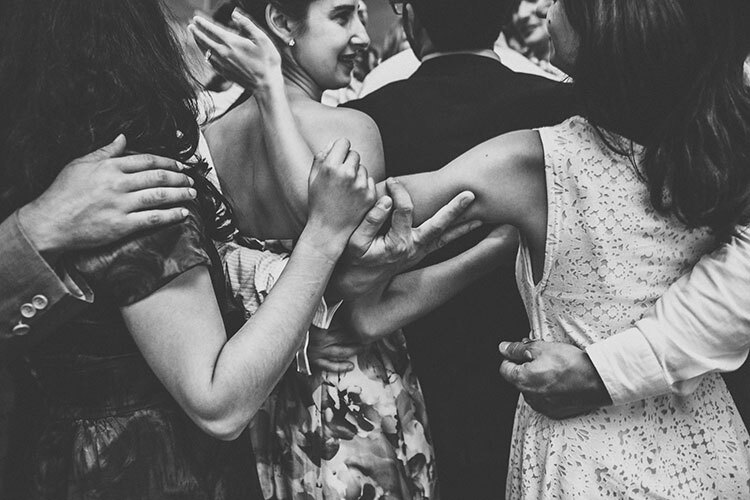 It was my first Jewish wedding — I knew some of the traditions but the one I was looking forward to most was the dancing. When the first Circle Dance started it was the men that took over the floor first. A weekly series where I ask some of the world’s best wedding photographers to pick out their favourite shot from their Jewish wedding portfolio. This week it’s the turn of Blake Ezra from Blake Ezra Photography. 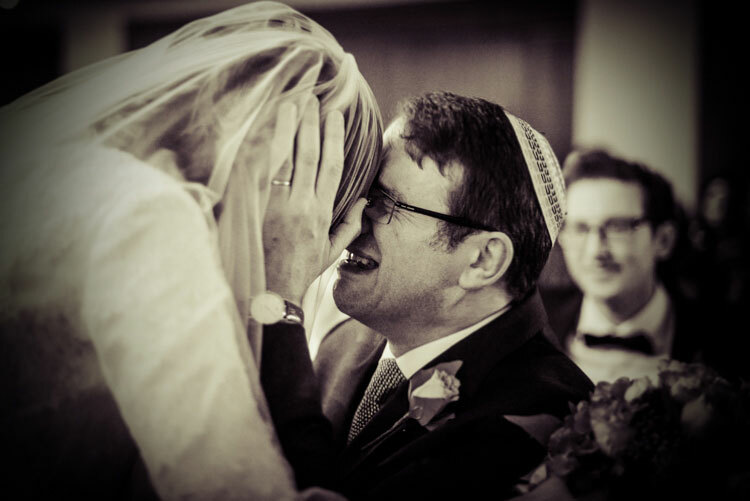 When asked to submit my Best Jewish Wedding photograph, it seemed like an impossible task. This is for two reasons. Firstly if you ask any photographer to submit their singular favourite image, they may struggle. There are so many different reasons why someone could appreciate a photograph – the people in it, the composition, the light, the moment captured, or even the emotions felt by the photographer when it was taken. It’s a very difficult thing to choose. What compounds the challenging nature of this task is to ask the question: What is a Jewish wedding photograph? 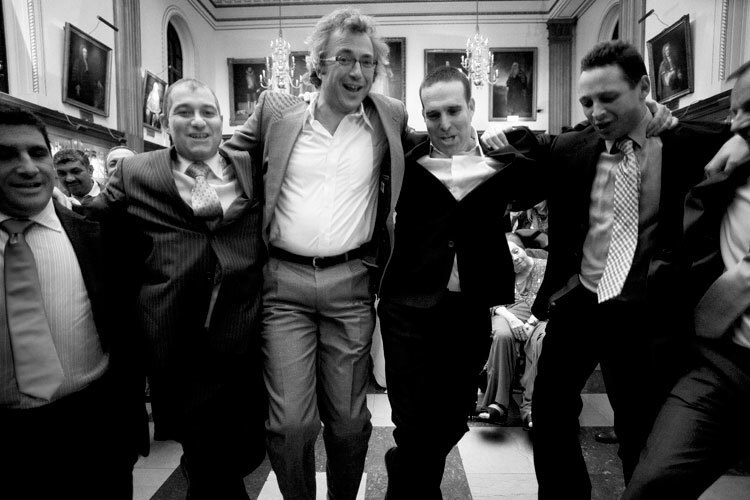 I wanted to pick something innately Jewish, not simply a stunning a photograph that happened to be taken at a Jewish wedding. 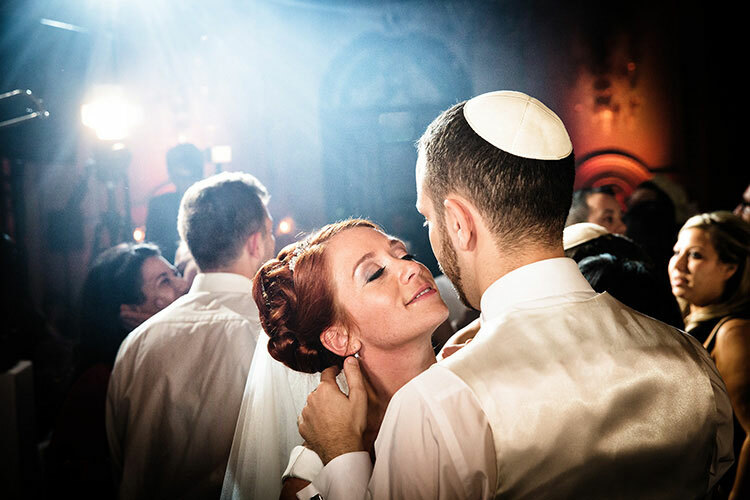 A weekly series where I ask some of the world’s best wedding photographers to pick out their favourite shot from their Jewish wedding portfolio. This week it’s the turn of Dom & Liam from York Place Studios.